Sarah Huckabee Sanders bitching about how America has been nice to Canada over the years. How entertaining. With the implication that it’s no more Mr. Nice Guy for you, effing Canada. The bully boy’s on the block now and you’re going to pay. It’s pay-back time. So what does the great country of America really hope to gain by beating up on Canada? Answer: We’re doing it because we can, dumbass Canadians. You’re dealing with great Americans now. We ain’t taking it on the chin anymore from you bastards up there. What can we, as Canadians, do when we’re being insulted like this? Answer: Enjoy it while you can. We know that America is the greatest country in the universe, that they won “World War II” and “The Great War” and “The Civil War” and “The American War” and “The Cold War” and are tough, mean and ready to kill you with a bad deal. We know Americans have paid the price in blood and we know about accountability, that countries are responsible for their own well-being and that America has contributed to peace, prosperity and progress all over the world in defence of freedom and democracy out of all proportion to what they needed to and just because they could. If that’s all over welcome to mean times, America. We’re as tired of you being taken advantage of as you are. Just like America we’ve had it! We’re sick of America taking the hit. That’s why we’re tariff-ing up. We’re here to help. If there’s one thing we can’t stand it’s when things ain’t fair when you’ve been nice. It’s bad manners and we hate that because we’re polite. We’re with you, great America. It sticks in our craw. It’s disgraceful to see a bunch of Canadians being so ungrateful. We despise ourselves too if that’s the way you want it. Nothing is going to stand in our way about that. We know there’s no chance of ever being up to your standard in niceness and the effrontery, we agree, is galling. We better watch out. And that’s what we’re doing. We’re taking a long hard look at ourselves. Everybody on the planet should do it. It’s refreshing. No more illusions. We know we can never be as great or as nice as America and we don’t want to be. That’s your job. We have no intention of trying to take that away from you. That’s no fun. We’re sticking with what we know. 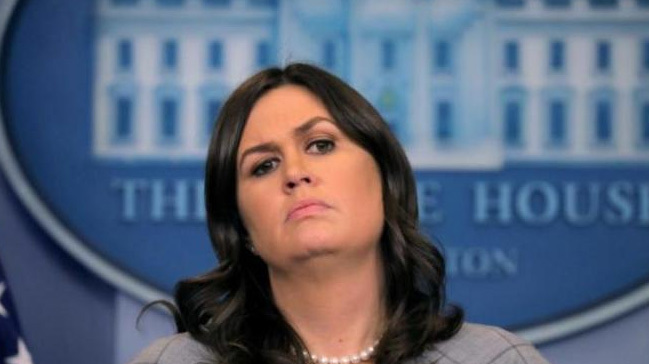 So thank you, Sarah, for pointing out what a hard job it is to be nice to us. We’re with you every step of the way. Nobody cares about “Advertisements”. I think it looks good. WordPress keeps trying to get me to start paying for this site. I refuse because I shut this site down. It’s got nothing to do with me. I sent the fluffy white hounds on their way and not just because it wasn’t about them. Tired of WordPress trying to get me to pay for something I have never paid for and will never pay for. Who the hell do they think they’re trying to kid? I like this “Refresh connection with Linkedin.” I dumped “Linkedin” too, and, true to form, it’s not like anyone has noticed. That’s not how we roll. But at least we’ll always have Facebook. It’s all right. It was always all right. It’s okay. It’s fine. I’m getting up and walking out. Without even looking at the stupid thing he ripped it into small pieces and threw it in the trash where it belonged. Moving on. You know you’re having a bad dream when you’re moaning and screaming so loudly you wake yourself up. And you feel bad because you’re not alone and you’ve disturbed the night. Thinking again about C.P. 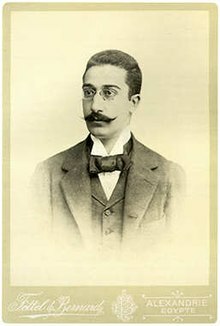 Cavafy (1863 – 1933). A beautiful and exciting poet. To the heady memory of Antiochos the Great! Cheers! Cavafy’s exoticism, his references to ancient times and to his times. A unique character. Born in Alexandria, Egypt of Greek heritage. Youngest of nine children. Father had started an import-export business in Liverpool, England. In 1870, when Cavafy was seven, his father died. Within two years his mother had moved her family to Liverpool. Cavafy spent seven years in England until the age of sixteen and learned to speak English fluently. The influence of English literature and of English manners remained with him. In 1882 Cavafy moved from Alexandria to Constantinople, modern Istanbul, with his mother and remained there three years before returning to Alexandria. This sojourn also impacted his artistic sensibilities. He wrote his first poems in English, French and Greek. At the age of 29, back in Alexandria and still living with his mother, he became a government clerk. He stayed with the firm for thirty years, retiring with the rank of “Assistant Director”. Cavafy also earned money as a broker on the Egyptian Stock Exchange. Cavafy stayed with his mother until her death in 1899 then lived with his unmarried brothers and then lived alone for most of the rest of his life. C.P. Cavafy was a gay man. His one intimate, long-standing friendship was with Alexander Singopoulos who became his heir and literary executor. It’s certainly that exoticism that drew me to Cavafy, and his brilliant, straightforward, colloquial style. The standard English translation of Cavafy’s poems is by Edmund Keeley and Philip Sherwood and was first published in 1975 by the Hogarth Press. The translators don’t attempt to imitate Cavafy’s use of rhyme schemes in his original modern Greek. Cavafy never offered for sale a volume of his poems in his lifetime, preferring to pass around privately published pamphlets of his works among his friends and relatives. One writer has described his “uncommon esthetic acetiscism”. That appealed to me too. Cavafy wasn’t entirely unknown to the wider public. He had a twenty year acquaintanceship with E.M. Forster who introduced his work to English speaking audiences. In 1926, living in Alexandria, he received the Order of the Phoenix and in 1930 was named to the International Committee for the Rupert Brooke memorial statue placed on the island of Skyros. In keeping with his name, his dress was also suitably Greek. but he didn’t solicit them; he was unassuming. and men like that naturally don’t speak very much. would start to make fun of him, vile people that they are.